The capital of Arizona, Phoenix is known for its warm temperatures and year-round sun. The area boasts an array of championship golf courses, spa resorts, award-winning restaurants, and vibrant nightclubs. For date ideas, there are a wealth of restaurants, cafés, and dining spots to go for fantastic food and a romantic ambiance. 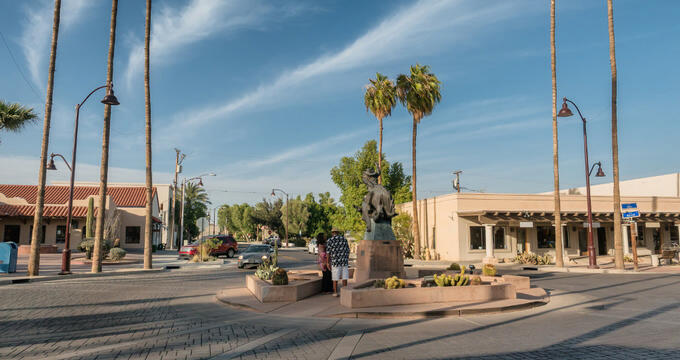 Located in the century-old Cavness House in the historic Roosevelt District, just blocks from the Phoenix Convention Center, The Vig is a friendly, upscale neighborhood tavern that serves as a gathering spot for the community who come to enjoy great food and drinks in a convivial atmosphere. Boasting stylish interiors, an inviting outdoor patio, a modern bar and lounge accompanied by a full kitchen, the contemporary gem serves a menu of New American cuisine along with a comprehensive list of cocktails and beers and substantial wine list. The Vig also offers an array of entertainment from large-screen televisions showing the latest games to bocce on the outdoor bocce ball court and live music of all genres throughout the week. The Vig is open for lunch and dinner, seven days a week, and weekend brunch. Located on the second floor of the Hotel Palomar Phoenix at Cityscape, Blue Hound Kitchen is a dog-friendly gastropub that serves shareable plates of seasonal New American fare and handcrafted cocktails. Located in the heart of the Phoenix’s shopping and entertainment scene, the urban gathering place blends sophistication and a welcoming, friendly ambiance, and features a comfortable dining room with floor-to-ceiling windows, a beautiful bar of reclaimed wood, and an outdoor patio where dogs are welcome to join their owners. The restaurant's dishes focus on using locally sourced ingredients and produce and are presented with creativity and flair, and the bar provides a robust selection of signature cocktails. Blue Hound Kitchen & Cocktails is open for lunch and dinner, seven days a week. 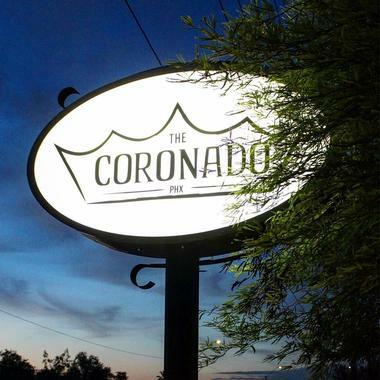 The Coronado is a friendly vegetarian/vegan eatery, coffee shop and bar in the historic Coronado neighborhood that serves a menu of vegetarian and vegan fare, freshly baked pastries and sweet treats, specialty coffees, and other libations in a casual, cozy atmosphere. Set within a beautifully converted home on North Seventh Street, The Coronado offers a light lunch service, and dinner in the evenings with counter service and traditional table seating, as well as relaxed lounge-style seating for day-time coffee drinkers and on-the-go customers. The menu features delicious dishes prepared with organic, locally sourced ingredients and produce, such as a Vegetable Hummus Plate, Tahini Brussel Caesar Salad, Red Bean Quesadilla, and Goat Cheese & Jalapeño Marmalade Quesadilla. The Coronado is open for breakfast, lunch, dinner and all-day coffee and pastries, seven days a week. Steak 44 is a high-end steakhouse that specializes in gourmet steaks and prime meats, fresh seafood, and other classic chophouse entrées served in an elegant and refined setting. The restaurant boasts a comfortable dining room with cozy nooks and a crackling fireplace, a glassed-in exhibition kitchen where diners can watch the expert chefs at work, and a patio for outdoor alfresco-style dining. A 3,000-bottle wine vault provides an impressive selection of globally-inspired wines from around the world for pairing with dishes by the bottle or the glass, and a full-service bar offers an array of other libations such as craft beer, imported spirits, and handcrafted cocktails. Steak 44 is open for dinner, seven nights a week. Linger Longer Lounge is a trendy lounge offering a creative menu of small plates and refine bar bites, craft cocktails and artisan beers, a substantial collection of vinyl records, and old-school arcade games in a stylish, relaxed atmosphere. Located just north of Missouri on 16th Street, the chic neighborhood bar is a favorite gathering spot for the community who come to enjoy the excellent food and drinks, as well as a variety of entertainment such as vintage games, trivia nights, Karaoke Mondays, weekly DJ nights, and monthly Tongue-Tied parties. Signature cocktails try the Arizona mule and Mexican Peach on the Rocks. Linger Longer Lounge is open every evening from 4:00 pm, seven nights a week. Barrio Café is the vision of James Beard-nominated Chef Silvana Salcido Esparza, one of the country’s top chefs and world-renowned authorities on Mexican cuisine and cooking. Serving breakfast, lunch, dinner, and an impressive cocktail program courtesy of seasoned lead bartender and "agave enthusiast" Colton Brock, Barrio Café boasts traditional, homemade Mexican cuisine in a relaxed and inviting environment. From exotic varieties of imported Mexican chili to regional specialties such as black mole chicken and signature dishes like the slow-roasted pork in banana leaf, Barrio Café is a must do for out-of-this-world Mexican. Diego Pops is a relaxed restaurant that evokes the eclectic aesthetic of the 1970s with arty décor, tables and chairs of all differed shades and styles, and a laid-back ambiance. 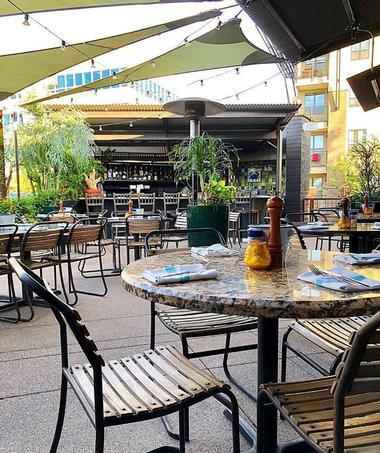 Located on Scottsdale Road in the heart of the downtown/waterfront area of Scottsdale, Diego Pops has a serene dining room and a gorgeous outdoor patio and bar for alfresco dining. 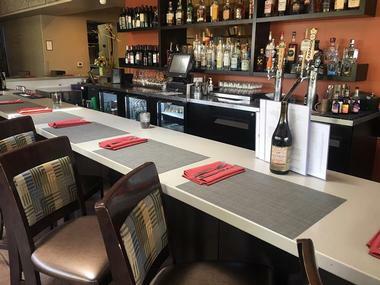 The restaurant serves an a la carte menu of authentic Mexican cuisine such as adobo barbecue chicken, grilled salmon with Fresno chili, queso Oaxaca and salsa verde, braised green chile chicken, grilled shrimp and crispy cod, and braised pineapple pork. The playful dining spot also offers a range of classic cocktails, tequilas, and imported spirits, as well as artisan beers and casual wines. 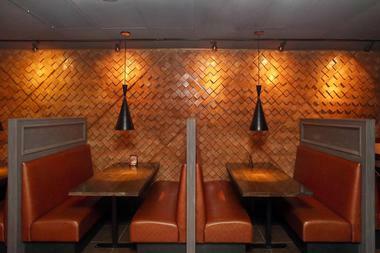 Diego Pops is open for lunch and dinner, seven days a week. Little Miss BBQ is a quirky eatery with a retro vibe that specializes in Central Texas-style barbecue, smoked meat dishes, and traditional sides. Smoked and slow-cooked over Arizona oak and pecan wood and served meat market-style, freshly grilled meats, and homemade sausages are served by weight on butcher paper with pickles, onions, and home-baked white bread. Prime meats on the menu included brisket, pork spare ribs and pulled pork, turkey breast, pastrami and house-made sausage, with sides of jalapeño cheddar grits, potato salad, coleslaw, and beans adding the finishing touch. Noble Eatery is a rustic and relaxed Italian joint and woodfired deli with chalkboard specials and fresh, seasonal mid-day meals. Located in the Arcadia District of Phoenix, the quaint café features wooden tables with mismatched vintage chairs, baskets of freshly baked bread by the door, and a handwritten chalk menu board boasting delicious daily specials. In addition to freshly baked bread, pastries, pies and cakes, there light meals like crisp salads, gourmet sandwiches, toasts, homemade soup, and wood-fired pizzas for lunch. Noble Eatery is open for brunch and lunch daily and offers catering services for private parties and functions. Buck & Rider is n elegant, beach house-inspired seafood and steak restaurant in the heart of Arcadia that serves a menu of prime steaks and fresh catches flown in daily. 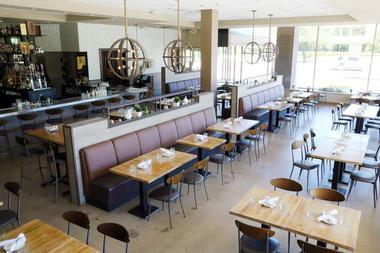 Designed to emulate a traditional boathouse where one feels transported to the coast, the casual eatery serves a menu of coastal-style cuisine such as freshwater blue prawns, Prince Edward Island mussels, oysters and clams, and creative dishes like ahi tuna burgers with avocado and Thai-style king crab salad. The cuisine is paired with a wide selection of hand-crafted cocktails like the rum-infused High and Mighty with Jamaican bitters, artisan and craft beers, and casual wines. 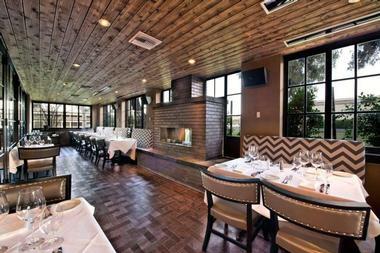 Guests can feast on the delicious cuisine in the stylish dining room or on the outdoor patio beneath the stars. Buck & Rider is open for lunch and dinner, seven days a week. Ocotillo Restaurant is a casual restaurant in midtown Phoenix that serves New American seasonal cuisine and an excellent cocktail, wine, and beer program in an elegant environment. Located at the corner of Third Street and Flower and boasting an award-winning design that blends native desert flora with modern architecture, Ocotillo Restaurant has an inviting indoor space that boasts a full-service bar, dining room, and a communal wine events area. Outdoor areas include a beer garden, a chef’s garden, a mesquite terrace, and Lucy’s lawn where guests can enjoy the fresh, local and seasonal cuisine, signature cocktails, fine wines and craft beers, against a backdrop of live music. 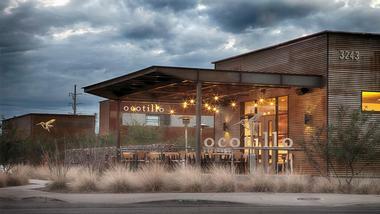 Ocotillo Restaurant is open for lunch, dinner, brunch, seven days a week. Located in the Southside Heights neighborhood of downtown Mesa, República Empanada Restaurant is a pan-Latin bistro that specializes in serving South American-style savory empanadas from different regions of Latin American. Taking diners on a comfort-food journey through Latin America, the menu features dishes inspired by home-cooked meals and traditional recipes. Focusing on serving delicious variations of the filled turnover from the Chilean type stuffed with seafood to the savory-sweet Bolivian variety known as a salteña, República Empanada also serves other Latin-American comfort food such as the classic Arroz con Pollo and the Caribbean-inspired Pernil, a slow-roasted pork dish. República Empanada Restaurant is open for lunch and dinner, Monday through Saturday. Different Pointe of View is an elegant award-winning eatery in the Pointe Hilton Tapatio Cliffs Resort that has been providing unrivaled exceptional dining experiences against a backdrop of sweeping valley views for more than 35 years. 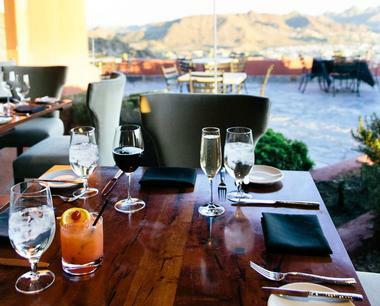 The AAA Four-Diamond restaurant boasts floor-to-ceiling windows that embrace the dramatic panoramic views of the Valley's desert landscape and Arizona's magnificent sunsets, along with stylish indoor and outdoor seating for seasonal dining. The renowned mountaintop restaurant serves a menu of American cuisine with Mediterranean influences complemented by an acclaimed wine list featuring more than 500 selections from around the world. Different Pointe of View is open for dinner only, Tuesday through Saturday. Quiessence is a farm-to-table restaurant set on the beautiful 10-acre working The Farm at South Mountain outside Phoenix. 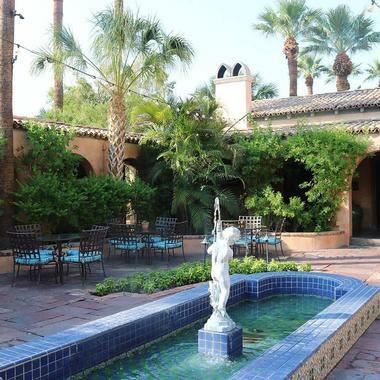 Set in a historic home just south of Southern Avenue in the charming area of the South Mountain Village known as The Farm District, Quiessence delivers an authentic “farm-to-table” experience using locally sourced produce, meat, and wine. 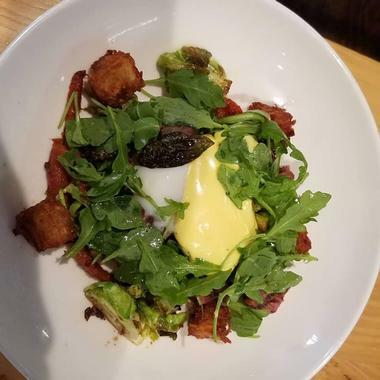 The restaurant serves a market-driven menu of locally sourced and organic cuisine such as artisan bread and cheeses, charcuterie meats, handcrafted pasta, and freshly harvested vegetables, edible flowers, eggs and herbs in a variety of options. An a la carte menu is served during the week, and a tasting menu is available on the weekends only featuring three different tasting menus with four, five or six courses with each dish crafted to order. An impressive wine list featuring American and Arizonan wines and an international reserve list is designed to pair with the cuisine. Set in a beautifully restored bungalow dating back to 1913 with hardwood floors, exposed brick walls, and a roaring fireplace, Cibo is a relaxed eatery that serves Italian staples. The charming bungalow exudes a homey ambiance with a cozy, fire-lit dining room and surrounding patio for alfresco-style dining beneath the stars. The menu features an array of delicious dishes with Mediterranean influences such as fresh salads, antipasto, artisanal wood-fired pizzas and house-made fresh pasta, with signature plates of gnocchetti sorrentina, polpette, arancini, and straccetti. The cuisine is paired with easy-drinking house wine, as well as global selections, handcrafted cocktails, craft beers, and imported spirits. Cibo is open for lunch and dinner, seven days a week. Established in 2010 by Chef Justin Beckett, Beckett’s Table is a relaxed restaurant specializing in seasonal New American cuisine paired with an extensive wine list and served in a comfortable, industrial chic atmosphere. The handsomely renovated spot on Indian School exudes a cozy ambiance and offers a menu of homey dishes that focus on local and organic ingredients like Shrimp and Sausage Grits, Green Chili Pork Stew, Seared Organic Scottish Salmon, Pork Osso Buco Confit, and Beckett's Table Signature Fork Tender Short Ribs. The sophisticated comfort food is paired with a selection of hand-picked wines that celebrate Arizona as well as robust international offerings and served at a large communal table with friendly, and warm service. 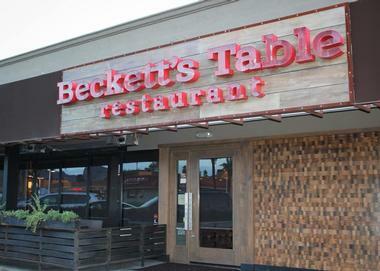 Beckett’s Table is open for dinner, Tuesday through Sunday. 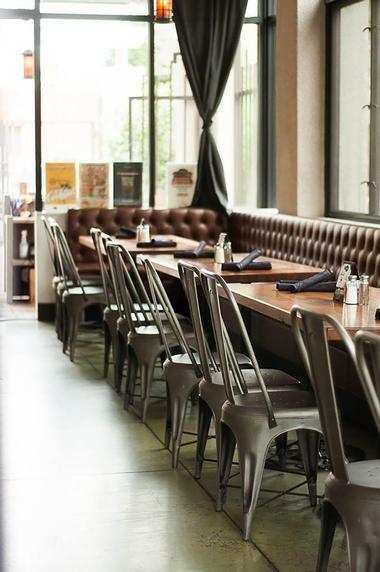 Nestled within the Biltmore neighborhood and hailed as one of Phoenix's best new restaurants, The Gladly is a hip, contemporary eatery that serves flavorful new-American cuisine for lunch and dinner. Located in the heart of the Camelback Corridor, the bistro-style restaurant is helmed by local Chef Bernie Kantak who creates exceptional cuisine from locally sourced ingredients such as pan-seared scallops, duck meatloaf, grilled filet mignon, fresh oysters and lobster surprise, and ricotta risotto. The cuisine is boldly paired with an extensive beverage program featuring craft cocktails, local and imported whiskeys, artisan beers and globally-inspired wines. 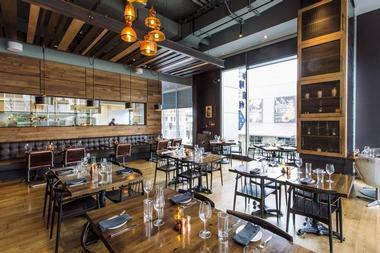 The Gladly is open for lunch and dinner, Monday through Friday, and dinner only on Saturday. Café Monarch is a family-owned and operated restaurant in Old Town Scottsdale that offers an elegant, exceptional dining experience for romantic celebrations. 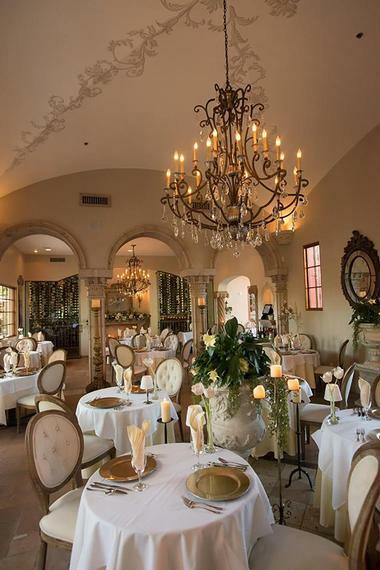 This charming, family-owned gem has been hailed as one of the most romantic restaurants in Scottsdale and serves weekly changing menus and special occasion four-course prix-fixe dinners using only seasonal locally sourced ingredients. The intimate wood-paneled dining room and ivy-covered candlelit courtyard complete with palm trees and a trickling fountain provide perfect spots for celebrating love over artfully composed dishes of delicious cuisine and refined wines from around the world. Café Monarch is open for dinner Tuesday through Sunday. Tucked away in the Bethany East Shopping Center, the Phoenix City Grille is a stylish restaurant serving eclectic dishes in an art-filled space that celebrates local history. 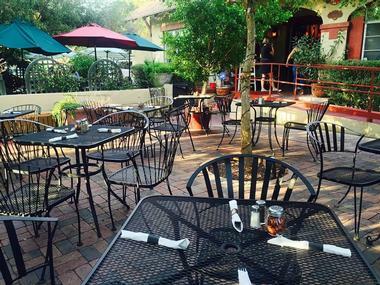 Nestled in the heart of the Madison neighborhood, the Phoenix City Grille was built in the style of the old town tavern with a warm, cozy ambiance and has been a leading Phoenix dining institution since 1997. Boasting large mesquite doors, dark walls, deep wood accents, and mellow lighting with Southwestern touches of adobe planters; the restaurant has a large, curved bar with a brick-lined window overlooking the bustling kitchen and a private room that can seat up to 40 people for secluded functions. The varied menu features an array of Southwestern-style cuisine, an extensive collection of mostly Californian wines, and signature cocktails and can be enjoyed for lunch and dinner, seven days a week. 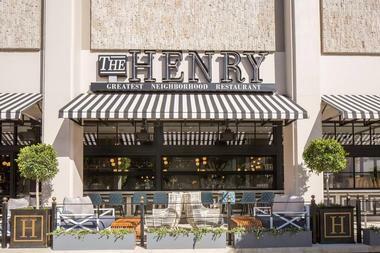 The Henry is an upscale-casual eatery with lovely outdoor patio seating that serves an all-day menu of authentic American fare and an extensive list of libations. The part-European bistro, part-American gastropub sees a business crowd with their laptops and mobile phones gathering on week mornings for healthy bites and freshly brewed coffee, while the weekend boasts a more laid-back ambiance with chilled out brunch-goers. Located at the confluence of Paradise Valley, Scottsdale, and uptown Phoenix and boasting breathtaking views of the Camelback Mountains, The Henry offers an ideal spot to enjoy delicious food, great drinks and a warm and welcoming atmosphere. 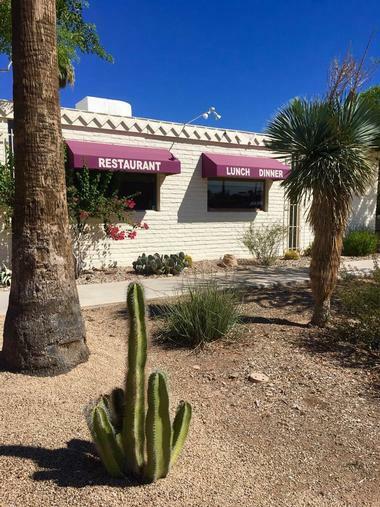 Located in the Desert Botanical Garden, Gertrude's provides an authentic Arizona dining experience for members, patrons, and visitors to enjoy. Desert Botanical Garden's relaxed restaurant and bar serve sustainable, farm-to-table cuisine that showcases the freshest local ingredients from artisans and farmers around Arizona and the Southwest in a beautiful environment. Chef Stephen Eldridge presents a visceral experience with outstanding cuisine, and a full complement of libations, including fine wines, craft beers, and imported spirits served in spectacular surroundings. 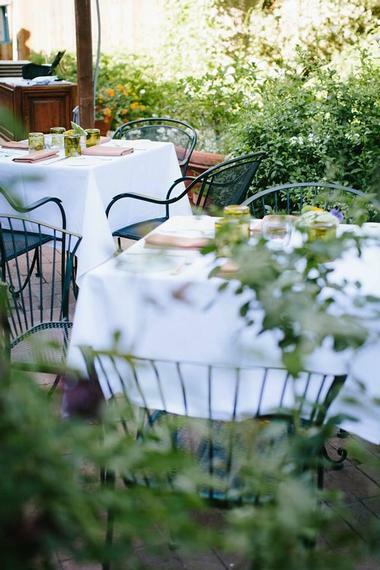 Fresh herbs and vegetables are sourced from the community garden and patio at the Desert Botanical Garden, and Gertrude's is open for breakfast, lunch, dinner, and happy hour, seven days a week. T. Cook's is a fine dining restaurant located in the Royal Palms Resort and Spa that serves delicious seasonal menus of farm-to-table cuisine in an elegant environment. Surrounded by contemporary décor and deluxe furnishings, roaring fireplaces, and blooming bougainvillea, T. Cook's is the perfect spot for a romantic candlelit dinner for two against a backdrop of scenic Camelback Mountain views. T. Cook's serves eclectic dishes prepared with locally sourced ingredients and served in the striking brick dining room, complete with a crackling fireplace, or on one of the outdoor patios beneath the stars. The signature restaurant also offers a private dining space with high-beam ceilings and a cozy fireplace for secluded functions. T. Cook's is open for breakfast, brunch, and dinner, seven days a week. 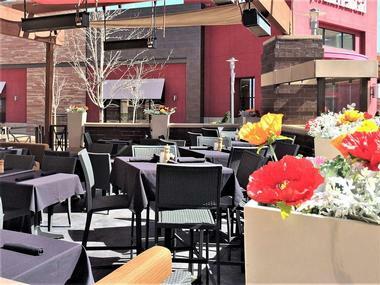 Located in the Scottsdale 101 Shopping Mall, the White Chocolate Grill is a contemporary American restaurant serving a diverse menu of refined riffs on American staples made from scratch using only the highest quality ingredients. Established by the same owners of the famous Cinzetti’s Italian restaurants in the Midwest, The White Chocolate Grill features a Frank Lloyd Wright-inspired interior with rich wood and real stone accents, leather booth seating, a spectacular bar, and soft lighting, evoking a classic yet sophisticated setting. The modern eatery serves a sophisticated American menu of made-from-scratch dishes such as Wood-Fired Citrus-Soy Glazed Salmon, Prime Rib French dip, and Filet Mignon Cobb salad, along with an excellent selection of libations and signature white chocolate desserts. Salty Sow is a hip, American gastropub that serves contemporary farmhouse fare and craft beers in a relaxed, laid-back atmosphere. 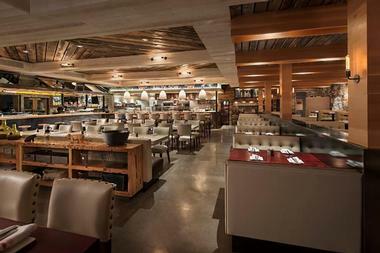 Located in the heart of Paradise Valley, the charming, dog-friendly pub is built from sustainable materials, including barn wood from across the plains and serves daily Chef specials, hearty entrées, sharing plates, and a variety of handcrafted cocktails, artisan beers, and casual wines. Salty Sow's chef-driven menu sumptuous, farm-to-table eats in a rustic-contemporary setting, such as beer-battered fish and chips, blackened salmon filet, slow-cooked beef shoulder, Duroc pork belly, and bacon butter short pork chop stack. Salty Sow has a variety of indoor and outdoor dining options for private functions and is open for lunch and dinner daily.